Hopefully you've had at least a few days off this week because of the holidays. If so, you've likely watched more TV than usual. And if that's the case, you probably have seen the commercial for the Perfect Bacon Bowl. It's been airing a lot this week. And now it's haunting me. 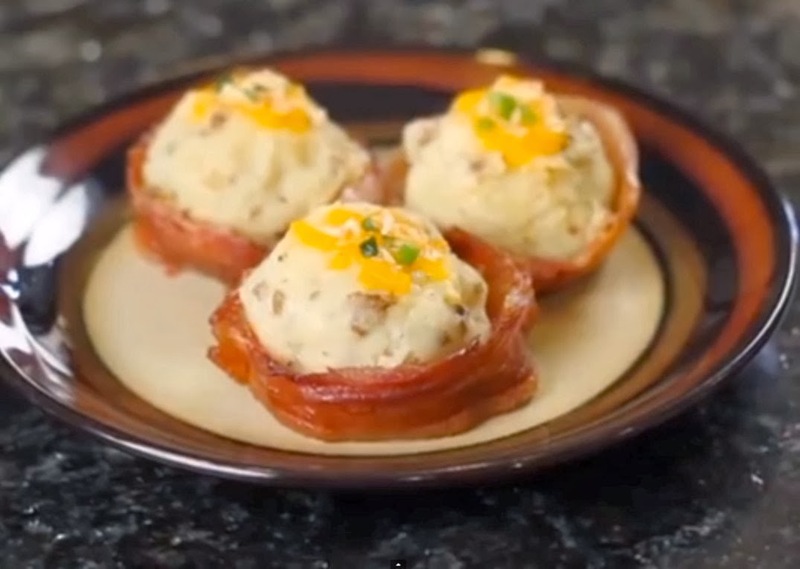 See, the Perfect Bacon Bowl is just what it sounds like, in terms of what it promises. You wrap uncooked bacon around the pan, stick it into the oven, and when it's done, the bacon has formed the shape of a bowl, which you can then fill with even more mouth-watering goodness. I saw the commercial on TV all day on Tuesday. So I decided to tweet about it and include the YouTube video of the commercial. After posting my tweet, I clicked on the video's link to make sure it was working properly and I realized that I recognized one of the guys chomping on bacon in the commercial as someone who works for Edison Nation here in Charlotte. It would make perfect sense because Edison Nation has become astute in bringing clever, why-didn't-I-think-of-that kind of products to the market. I soon confirmed that it is indeed Edison Nation who's behind this cool, new thingamajig. But I must resist buying it. See, I love bacon too much. I'm talking about the real stuff too: pork. No, turkey bacon is not an adequate substitute. I love bacon because of its taste, crunch, smell (but not to the extent of wanting bacon cologne)... er'ything. If I'm ordering at a restaurant I haven't eaten at before and it has an item on the menu that has bacon on it, I'm likely to order that. If I was to have a Perfect Bacon Bowl in my possession, there would be no end to the number of makeshift recipes I would create. I would probably try to eat cereal out of it. But I'm not the only one. We're in the midst of a bacon craze--from cocktails to chocolate. Even if it is "Why the rest of the world hates us," as David Letterman proclaimed recently in response to the Perfect Bacon Bowl. This kitchsy kitchen device has also become food for fodder on Twitter (search "Perfect Bacon Bowl"), likely propelled by the prominence the TV commercial has been getting as of late. 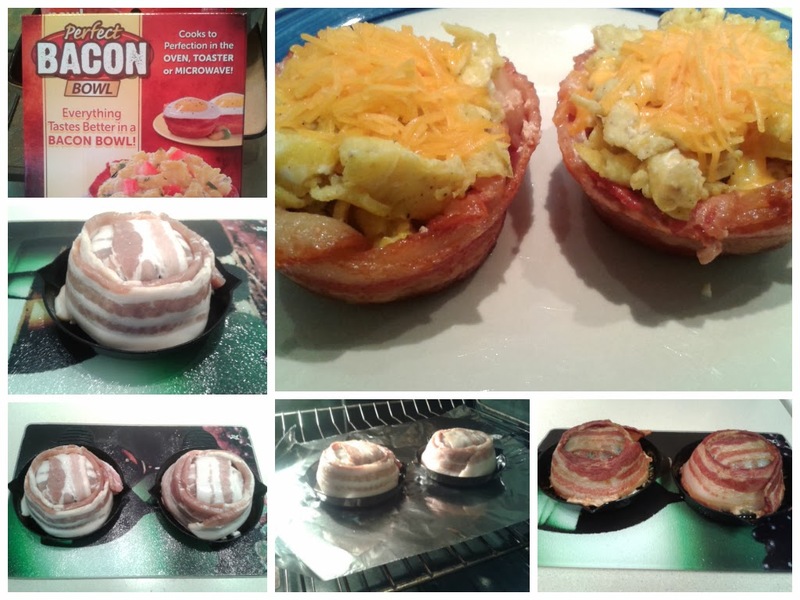 Visit buyperfectbacon.com if you'd like to order the Perfect Bacon Bowl. I was given a Perfect Bacon Bowl, and I used it for the first time today. I whipped up a couple of bacon, egg, and cheese bowls for Sunday brunch. It was as easy to use as demonstrated in the ads, but it took longer than I expected for the bacon to cook to a crisp in the oven--about an hour in my gas oven because the directions say not to exceed 375 degrees. My suggestion is to cook your bacon bowls in a toaster oven for faster results. Of course, the microwave would be the absolute fastest way but I don't like to cook food in a microwave.